A Whirlpool washer is shown at G&W Maytag in Lansing, Mich. 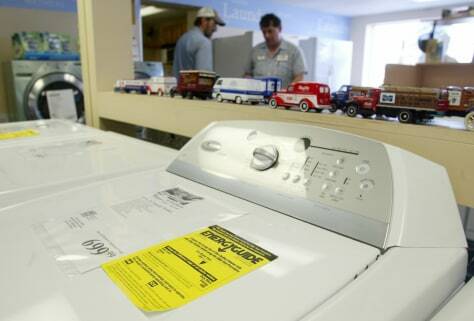 The average American family does about 400 loads of wash a year. That requires thousands of gallons of water. A new high-efficiency washer can cut that water usage in half.